GREEN means we’ve checked this item and it’s performing as expected. YELLOW means this item may need attention in the near future. This keeps the surprises to a minimum and allows you to plan for a future service need. 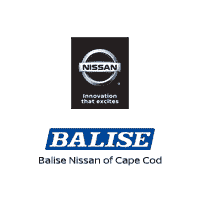 Scroll down to view our selected benefits of Nissan Express Service at Balise Nissan of Cape Cod! With Nissan Express Service we offer a signature Express Oil & Filter Change that’s fast and, convenient! We get you in and out fast using Nissan’s famous expert service technicians! Coupled with our No Appointment Necessary, this means getting the needed maintenance on your vehicle doesn’t need to be a hassle! Life is busy and we make it as easy as possible! We understand your time is important! Nissan Express Service takes the hassle out of vehicle maintenance, and at a competitive price! Trust our expert service at Balise Nissan of Cape Cod. An expert Nissan technician will change your oil and filter, perform a Multi-Point inspection on your vehicle, and get you back on the road. You can drive in confidence knowing that your vehicle has been serviced at a trusted Nissan Dealership.